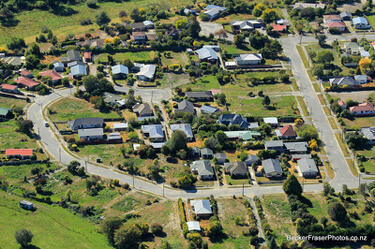 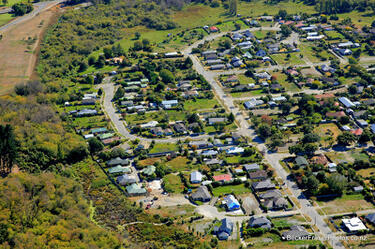 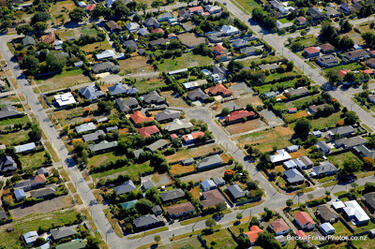 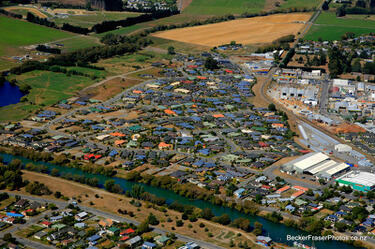 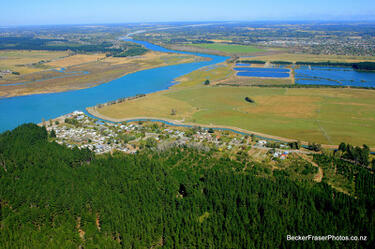 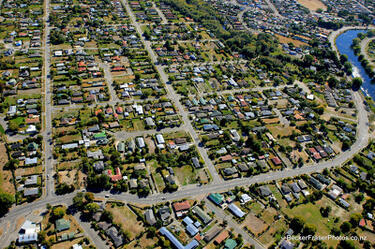 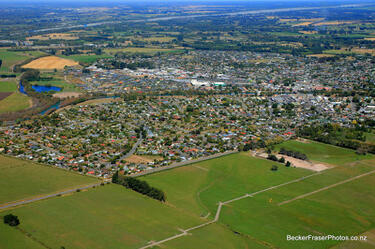 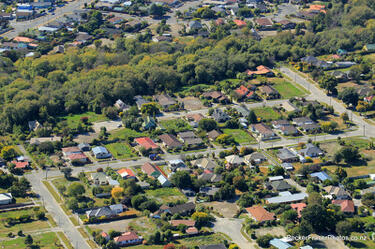 An aerial photograph of a residential area in Kaiapoi. 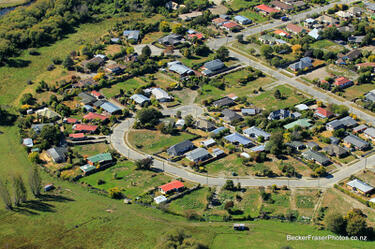 The photograph has been captioned by BeckerFraserPhotos, "Many of the streets (but not all) in the area north of the Waimakariri River are red zoned". 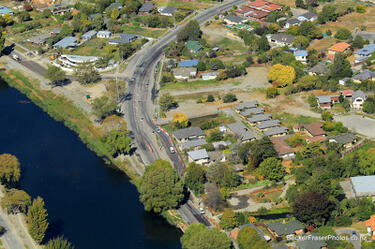 An aerial photograph of New Brighton Road, where the traffic has been diverted across the front yards of several red-zoned houses.